The Skeese Greets bicycle holiday card titled, "JOY" received enough votes for 6th place in the Etsy Holiday Cards 2008 Contest. 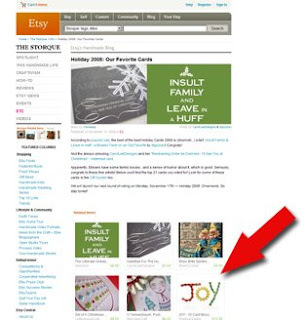 Sixty cards were nominated out of over 150,000 cards on Etsy. As they say, "It was an honor just to be nominated." Thanks to everyone who voted; I really appreciate the support!